Atoll or island. What is it? Many people who contact us are confused about the difference between an atoll and an island. We own the island Long Caye, which is located at Glover’s Atoll, also called Glover’s Reef. We often hear “I want to visit your island, Glover’s Reef.” But this is incorrect. If you are also unclear as to just what an atoll is, I hope that this will help. Atolls are made of coral. 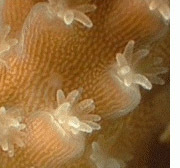 Coral is a tiny animal, usually about 1/4″ long, that lives in huge colonies. The individual coral animal is called a “polyp”. The coral polyp takes minerals out of the sea to make their house. When there are thousands of polyps doing this together, they create a huge, expanding, home. Although different species create different shapes, the coral structure often resembles a big rock with fantastic textures on the surface. 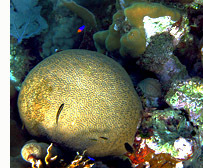 Corals live in a symbiotic relationship with a plant, an algae called zooxanthellae (“zoh-zan-THELL-ee”). This is a win-win relationship where they each get something out of the deal. Because this plant is so important to the coral, coral thrive near the surface of the ocean, to be nearer to the sun. It’s the plant that needs the sunlight, not the coral animal. Since corals create their rocky home from scratch, they need somewhere to start. Coral doesn’t float around in the sea, it has to attach somewhere. So any hard surface in a location that is conducive to coral growth will soon be covered with coral. Many people think that atolls have to be associated with volcanic activity. This is because in the Pacific most of the rock structures that coral is attached to are volcanic in origin. But it doesn’t have to be that way. Even a sunken ship is covered with coral. In the Caribbean, there are only 4 atolls: Banco Chinchorro, Turneffe Islands, Lighthouse Reef, and Glover’s Reef. All but the first are in Belizean waters. Banco Chinchorro is just north of the others in Mexican seas. To view a detailed Belize map that includes the location of all four atolls, visit our website. The reason these atolls are where they are is due to several underwater ridgelines that formed when the super-continent Pangaea broke up, Pangaea existed about 250 million years ago. When it broke into the proto-continents of today, it left several underwater, but shallow ridges just off the coast of present-day Belize and Mexico, a perfect place for coral to attach to. 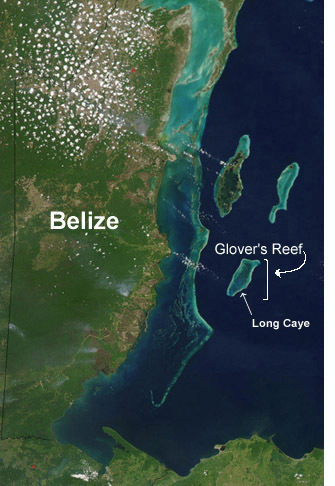 The Belize Barrier Reef formed on two of these ridges, and the atolls of Belize and Mexico formed on two of them also. Originally actual islands formed where the four atolls are today. But as the continents drifted slowly apart, this region also sank slowly, allowing the coral that was attached to the edges of these islands to continue to grow to stay near the sunlight to benefit the zooxanthellae. So what remained after all the drifting and sinking finished were 4 rings of coral way out in the middle of the ocean. Islands formed on top of these coral rings. 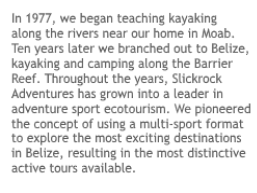 Long Caye is one of them. There are 4 islands at Glover’s Reef, one at Banco Chinchorro, three at Lighthouse Reef, and numerous islands at Turneffe, which never did sink completely. 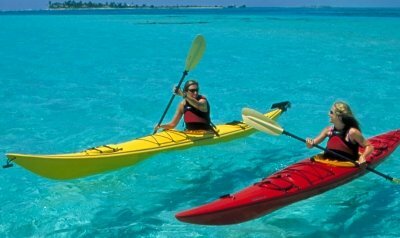 To read more about Belize atolls, visit our website. Good reading Ma’am, thank you. Simply and yet well compiled.